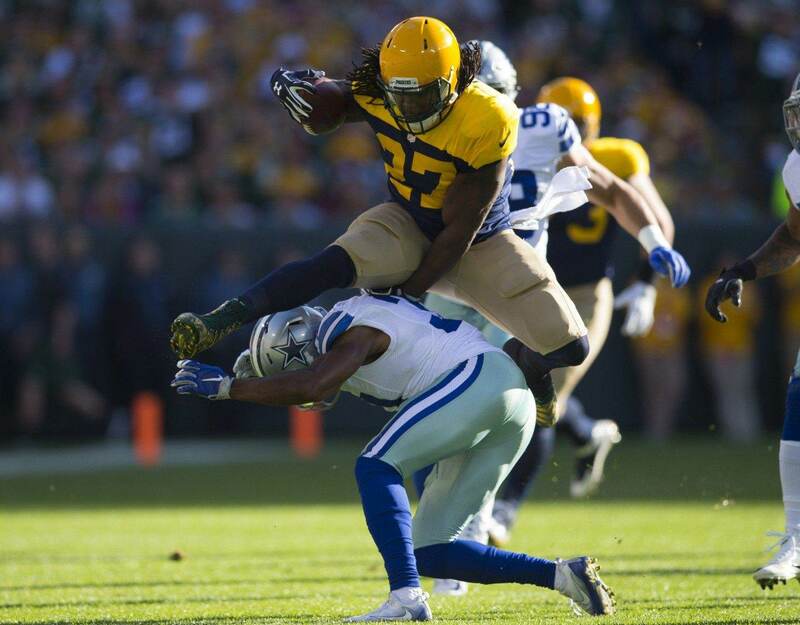 When we last saw Eddie Lacy he was hurdling over multiple Dallas Cowboys as the Packers fell to 3-2 on the season in a pathetic 30-16 loss at Lambeau Field. That will be our lasting image of him for at least one more week. It seems like Eddie Lacy’s ankle injury was not as benign as his hurdles would have otherwise indicated. The Packers offense is struggling the most we’ve ever seen it do so in the Aaron Rodgers era, but a date with the Chicago Bears (with or without Lacy) might help kickstart it up again. For what it’s worth the Packers did make a trade earlier this week with the Kansas City Chiefs to acquire RB Knile Davis. It’s unlikely that he’ll play a lot with this game happening on Thursday night, but the Packers are preparing themselves for the rest of the season. How do you think the Packers offense will fare without Eddie Lacy against Chicago? Let us know! Comment below, Email me at RJ@RJOchoaShow.com, or Tweet to me at @RJOchoa!